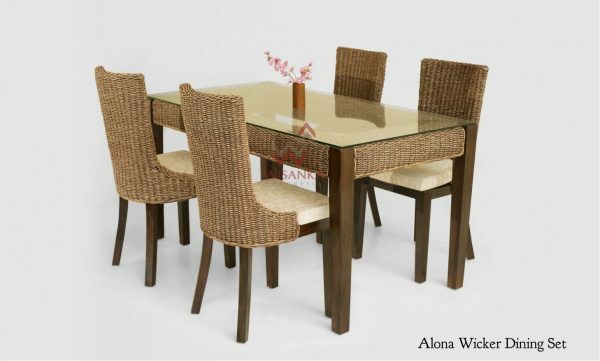 Between dinner, lunch, and breakfast, your dining room is often entertaining. 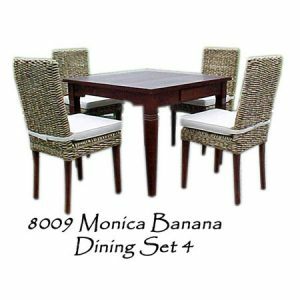 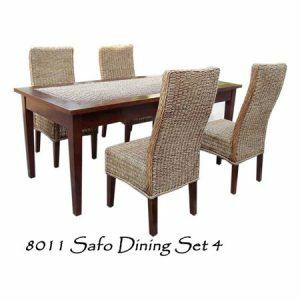 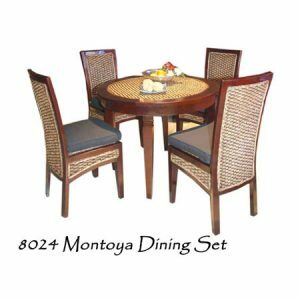 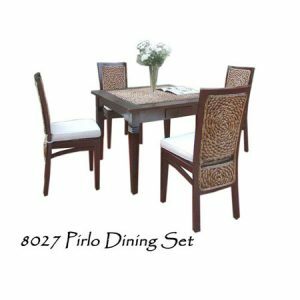 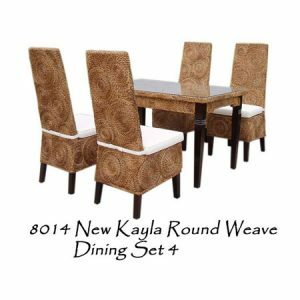 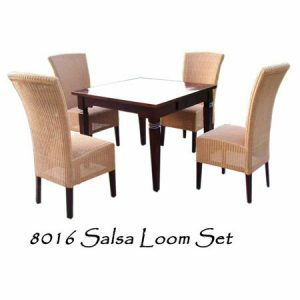 Spruce up with this stylish Alona Rattan Dining Set. 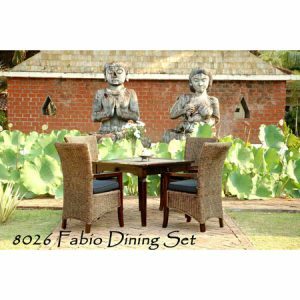 Crafted from solid wood, finished in mahogany, its frame features a curved seat wrapped in woven natural rattan and sea grass for a touch of texture. 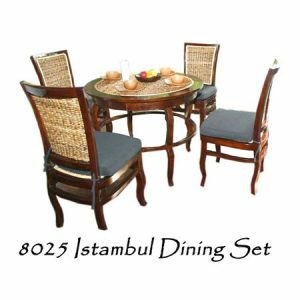 A comfortable cushion give you attractive seating for any dining table.